Posted On January 27, 2015 by Team iCynosure. 2015 has arrived with a bang. In the very first month, I've collaborated with two amazing beauty brands and three gorgeous fashion brands to bring to you the best that the industry can offer. First things first! If you follow me on Instagram and/or Twitter, you sure know all about it. But if not, don’t worry you shall, but all in good time. 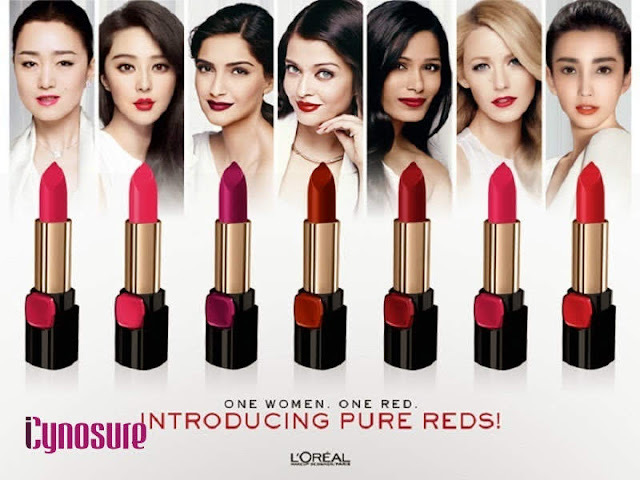 A very exciting project was initiated by L'Oréal Paris India, where the brand invited beauty bloggers from Mumbai to collaborate for their L'Oréal Paris Colour Riche Pure Reds Collection. Every blogger was styled by Hair and Makeup Expert, Namrata Soni before shinning in the limelight to be beautifully clicked by photographer par excellence, Rema Chaudhary. The amazingly eventful day organized by PR gurus at FoxyMoron was infused with manicures and nail art sessions while sipping cocktails and munching on pizzas at LIV, the club. Having met Namrata at various L'Oréal workshops, being styled by her was an amazing experience. She and her team spent considerable time with each of us to understand our individual uniqueness and then style us accordingly. Every blogger was flaunting a shade from the Pure Red range of matte lipsticks that flattered her persona, her skin-tone and her individuality. Here is a checklist of the different shades, and which beauty endorses it! It was a whirlwind session, where Namrata’s assistant first did my base makeup and then Namrata did my hair. As I looked at myself, I was all set to flaunt the reds endorsed by any of the Indian beauties and was amazed when Namrata picked out the Pure Scarleto endorsed by the beautiful Blake Lively. I was stumped, thinking I’d look so unnatural, but I had faith in Namrata and we went ahead with the lip colour. The end result is here for you to see… I was a new person, born to stand out. A colour so unique that I just couldn't recognise myself! Once I was ready I was rushed to the photo-session and after a few awkward poses, I kind of got into the rhythm. After a few takes I was at ease and the pictures got done in a few minutes. A wonderful afternoon came to an end when all the bloggers were brought together for a group photo… It was fun, chaotic madness… Moving bloggers around numerous times, taking a zillion shots where either someone was yawning, or someone was napping or someone wasn't looking at the camera. And here are the pics that the talented Rema took. After a crazy hectic day, these pictures make all the efforts worthwhile. 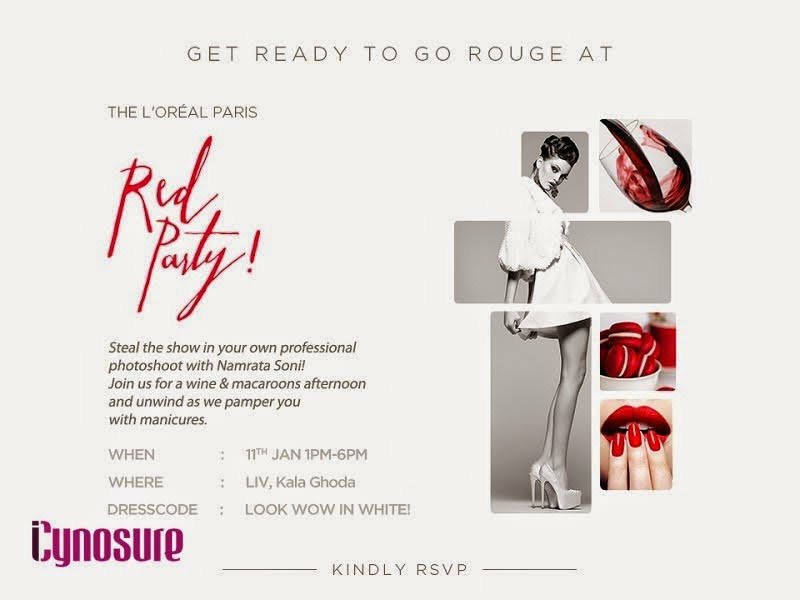 We have met on numerous occasions for events, parties and shopping but the L'Oréal Paris India #RedParty gave us the time to bond like girls; giggling, laughing, gossiping and flaunting. It was an evening that all of us would cherish forever. Don’t the pictures say it all? Awww, sounds like such a wonderful day! You must have had such a blast. Lovely shots btw. 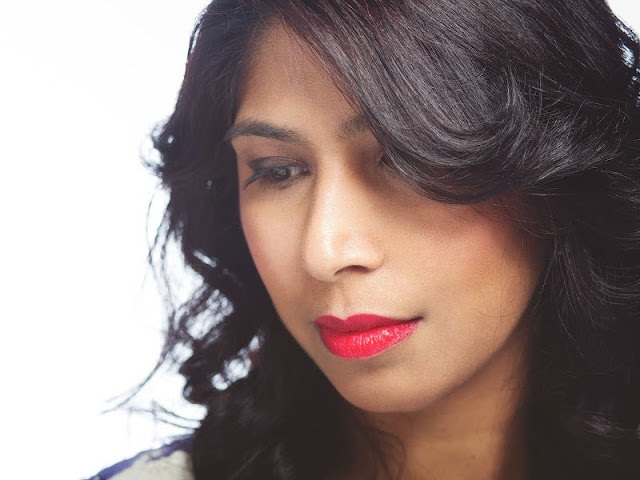 Wasn't a L'oreal lipstick user originally, until I tried a red lippie from their Color Riche line. Super nice! Sounds like a fun day for you! It's definitely a good way to start a new year though. The colour suits you a lot. That sounds so exciting. I love events like that....its a great way to meet another bloggers.